In a shocking move, the present government approved the shredding of the Higher Education Commission into pieces and handing the functions to the provinces. The Cabinet formally approved this last week. This was illegal as HEC was a Federal Regulatory Authority and protected under the 18th amendment of the Constitution like other Federal Regulatory Authorities . It was also completely autonomous, and reported directly to the Prime Minister. However it was treated as if it was a part of the Ministry of Education, and since the Ministry of Education was being devolved, so this was too. HEC had developed many enemies when I was its Chairman as I was determined to strictly follow merit and not compromise on principles. Dr. Sohail Naqvi, Executive Director, continued these policies, after I resigned, as did the new Chairman Dr. Javaid Laghari. This annoyed many Parliamentarians, specially on the matter of forged degrees as HEC refused to testify them as genuine. This is disastrous for the future of Pakistan as it will lead to horrendous problems. it will lead to multiplicity of standards and cause the same chaotic situation that exists in our schools. It will also lead to massive corruption as the provincial governments will now be able to exert direct pressures to appoint their cronies at key positions in universities. Greedy politicians have their eyes on university lands worth hundreds of billions of rupees and these can be swallowed after appointment of their own persons at key positions. Universities that are favourites will be better funded and the formula-based funding evolved by HEC will vanish. The $300 million committed by the World Bank and $ 250 million agreed to by US AID will also no longer be available as these were linked to the status of HEC not being changed. 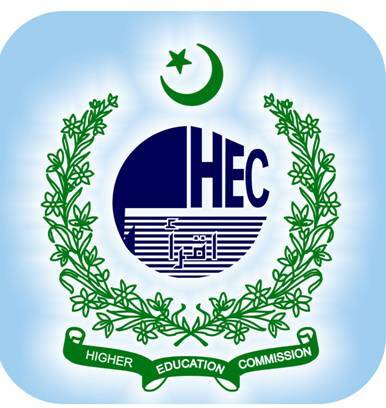 The written commitment of the Ministry of Finance with the World Bank to give sizeable increases in funding to HEC, resulting in doubling of its recurring and development budgets over the next 3 years will also now no longer be honoured as funding will now be a provincial responsibility except for the few Federal Universities. Most importantly, the national focus to train manpower in key areas of national importance, in harmony with the long term development plans, will be replaced by a fragmented approach. I recently held a Press Conference in Islamabad on the platform of the Pakistan Academy of Sciences (of which I am now President) calling upon the government to reverse this decision to shred HEC. I also discussed the matter with Dr. A.Q.Khan who wrote an article for The News. This was published (as views expressed by him) in The News (Islamabad edition) 2 days ago and in the Karachi edition yesterday. I have also written an article. It should be published in a national newspaper within a couple of days. 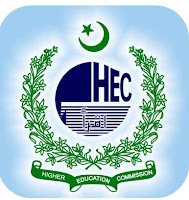 I would like each of you to take a strong stand on the matter and write articles in national newspapers urging the government to reverse this decision.. We cannot be bystanders as the HEC is shredded into pieces. This was one sector that was working well, six years of my life went in into building this vibrant institution as its founding Chairman. The work of HEC drew much international praise. Alas it has now been destroyed.